Gov. Ned Lamont and legislative leaders announced Friday they have reached a bipartisan agreement to vote Tuesday on emergency legislation providing unemployment assistance to federal workers going without pay during the protracted shutdown of the federal government. Non-essential workers who have been furloughed and essential employees now working without pay would be able to obtain interest-free loans of up to one month’s net pay, capped at $5,000. The loans would be provided by the private financial institution and backed by the state. The legislation would implement a public-private partnership announced Tuesday by Lamont and Webster Bank officials. People’s United Bank has since signed on, and the governor’s office said it hopes other institutions follow. The leaders of the Democratic majorities and Republican minorities in the Senate and House have agreed to the plan, giving the new administration a taste of bipartisan cooperation before the more difficult task of crafting a budget. “I applaud the governor for thinking outside of the box and developing a collaborative approach to assist workers who are facing challenging times,” said Senate Minority Leader Len Fasano, R-North Haven. Placing emergency legislation before the General Assembly requires the consent of Senate President Pro Tem Martin M. Looney, D-New Haven, and House Speaker Joe Aresimowicz, D-Berlin. Emergency certification allows action without the bill going through the normal process of review by relevant committees and a public hearing. 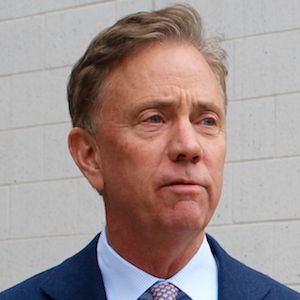 Lamont’s office said the bill would be released as soon as it is drafted. “Within the limits of state authority, it is imperative we do all we can for these federal workers who are being victimized by President Trump’s extreme and irrational policy,” Looney said. In addition to the loan program, the bill would allow municipalities to defer property tax payments authorizes the state’s unemployment insurance system if necessary changes are made to federal law. On Tuesday, the governor and Webster announced a plan to provide state-backed loans to federal workers going unpaid during the shutdown, raising the possibility other banks and credit unions would participate. An estimated 1,200 to 1,500 federal employees are currently working without pay in Connecticut, the governor estimated. could be eligible, according to Lamont. Imagine if Gov. Lamont and CT Democrats showed the concern in assisting the unemployed in CT’s major cities securing new employment. But that’s now how CT politicians display their “concern”. They’re focused on assisting employed well paid Federal workers. Bringing attention to CT as the nation’s premier “blue State”. And most mismanaged State in the nation. CT taxpayers being forced to step up to the plate to help our highly paid Federal workers with their late salary checks. Imagine if the politicos had a similar interest in bringing decent jobs to the impoverished residents of our depressed major cities. Blue State forever ! Mister Berman: upon ignoring the latest version of the one-note song you croon at every unfortunate audience, it dawned on me that the idiom “misery loves company” must surely be in play here. Otherwise you and the state of CT would have parted ways by now? Why? They’re overpaid to begin with. Perhaps some of stay because we have family here, or our homes are so under water, or we love the natural Beaty, or remember when we were a more diverse city, or we hope that some day soon common sense and fiscal responsibility will prevail. So we stand proudly on our soap boxes and hope for change.